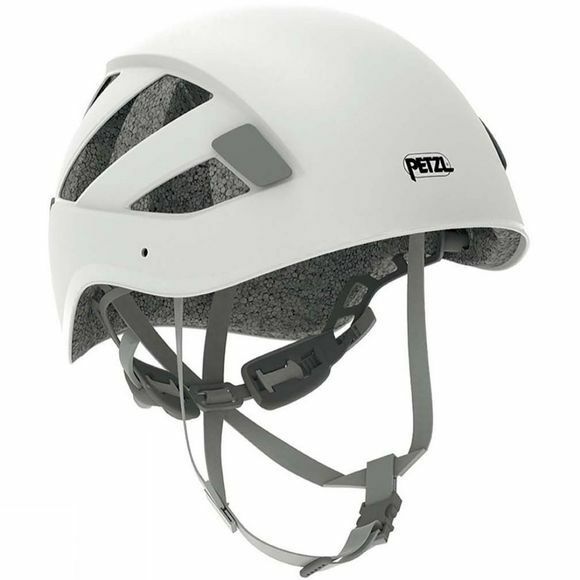 The Boreo Helmet, from Petzl is a durable and very versatile helmet which is suitable for climbing, mountaineering, caving, via ferrata, canyoning... Thanks to its hybrid construction, the helmet is both compact and head-covering. Protection against lateral, front and rear impact is reinforced. Optimized volume on the head and wide ventilation holes make it a comfortable helmet for all activities.